Vagabond is a small but very dynamic kayak company. Our range of high-performance recreational and whitewater kayaks are all designed and manufactured in-house on our state-of-the-art equipment. Our team is made up of five partners. Together, they are the magic behind our company – uniting their passions and skills and experiences. Between them, our partners have over 140 years of paddling experience! The small South African town of Parys, on the banks of the Vaal River, is the place that Vagabond calls home. It is here that everything happens, from design, development and manufacturing to testing prototypes on the rapids and flatwater sections of the Vaal River. Our team on a prototype-testing mission. 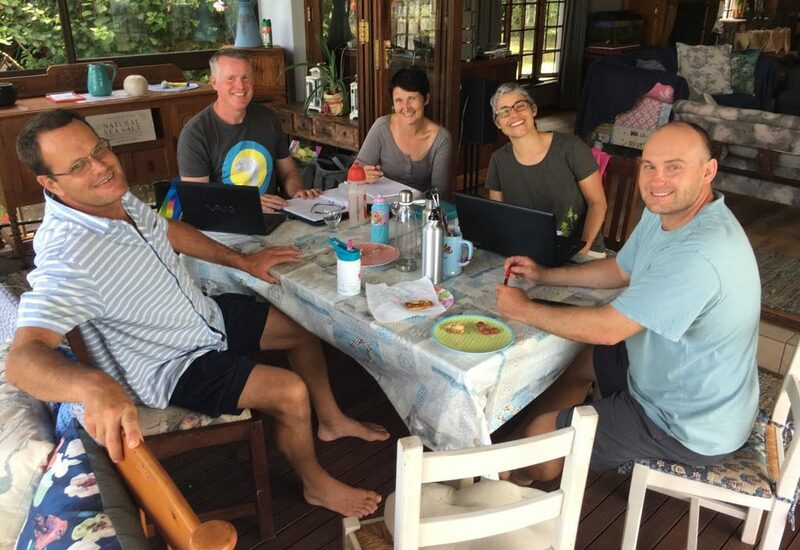 (L-R) Nicola Simpson, James Simpson, Marius du Preez, Celliers Kruger and Lisa de Speville. 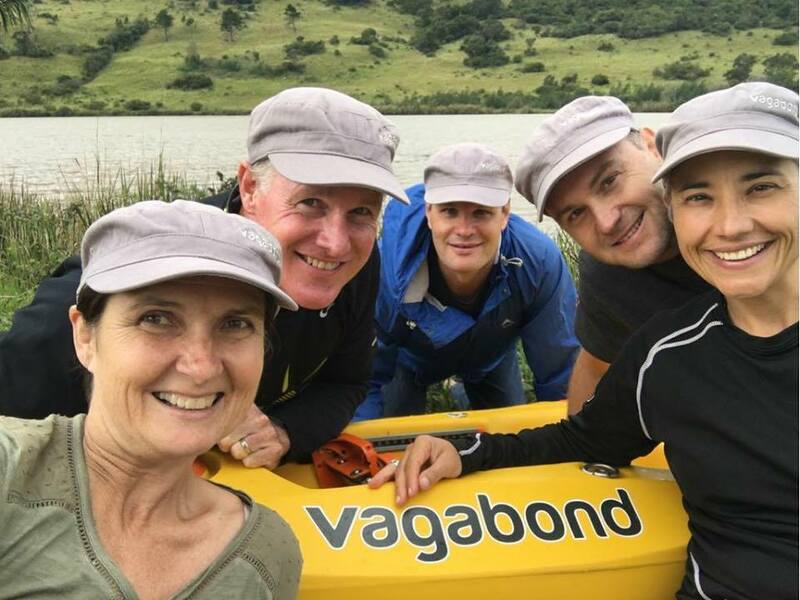 Vagabond Kayaks Board Meeting: (L-R) Marius du Preez, James Simpson, Nicola Simpson, Lisa de Speville and Celliers Kruger.